As one of the world’s leading information and communications technology (ICT) solution providers, Huawei offers a competitive portfolio, covering enterprise networking, unified communications & collaboration (UC&C), cloud computing & data centre, enterprise wireless, network energy and IT infrastructure services. 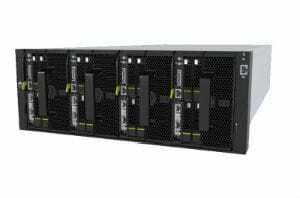 Huawei Enterprise provides a wide range of high-performance servers and components, powered by the latest multi-core Intel® Xeon® processor technology. Dynamic power management and energy-saving features reduce power consumption, increase efficiencies and lower costs. Support for FusionSphere virtualization simplifies management for rapid provisioning and low Total Cost of Ownership (TCO). Huawei storage products meet a wide range of needs: entry-level, mid-range, and high-end enterprise applications; big data; vertical industry applications; and cloud storage applications. 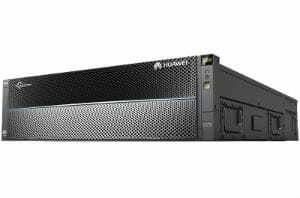 Some of these flexible storage products combine SAN and NAS features to maximize versatility, while others combine primary and backup storage. Convergence of solid-state and hard-disk drives boosts performance dramatically. Huawei provides the enterprise network market with the most comprehensive product combinations in the entire industry. Products include Ethernet switches and enterprise routers, Wireless Local Area Networks (WLANs), network security and network management. Helps enterprises build integrated infrastructure network platforms by co-ordinating services such as network and security, wired and wireless, computing and storage. Passive Optical LAN (POL) is a ground breaking new way of structuring telecommunication networks, replacing traditional Local Area Networks (LAN). In simple terms, POL is a Passive Optical Network (PON) for enterprise applications. The design and deployment of local area networks can be vastly improved with a Huawei POL architecture and is particularly significant in multi-story buildings and campus sites where fibre-to-the-X style architecture replaces traditional Ethernet cables and switches – and their 300-foot reach limitation. Huawei’s Agile POL solution is a LAN solution based on PON technologies. 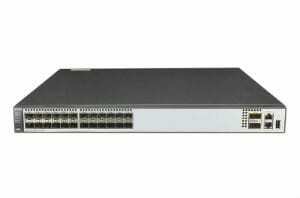 It uses a similar network structure, and active and passive devices for the Fibre-To-The-Home (FTTH) solution. However, the solution can be tailored to address enterprise needs based on the scale of the network and the access user groups. The solution enables enterprises to integrate various systems (including data, voice, video, and Wi-Fi access systems) over one optical network. Further details on the Huawei POL solution can be found in the Agile POL brochure. Having worked with Huawei for a number of years, eSpida is already a highly respected channel partner. As an authorised Huawei Partner, eSpida benefits from the shared knowledge and resource Huawei can offer. We make regular visits to Huawei’s research and development headquarters, based in Shenzhen, China where we meet with members of the 80,000 strong R&D team to share feedback from here in the UK and gain insight into the latest and forthcoming innovations. As a result our product knowledge is highly current and accurate. Using the extensive Huawei portfolio, eSpida delivers exceptional world class IT solutions.